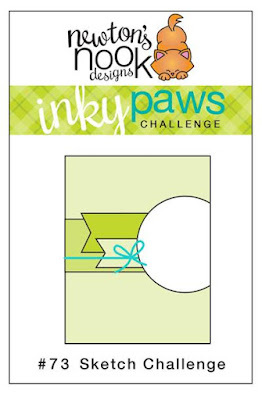 You have TWO WEEKS to play along - Deadline to enter is Friday, June 8, 2018 at Midnight CST. The winners will be announced on the NND blog the following Monday. Andrea Shell's use of the ice cream cone paper works wonderfully with Winston holding the ice cream cone from Sending Hugs stamp and die sets. She then pulls this fun sentiment from Company of Cats stamp set. Just love how these sets work together! Yummy! 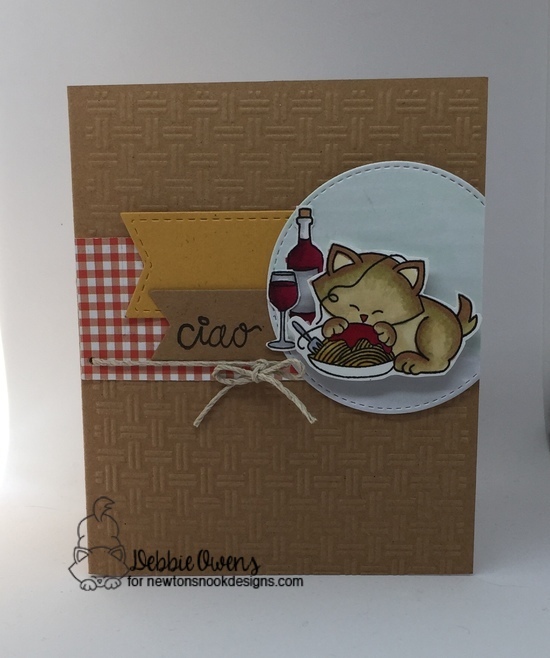 Debbie Owens sets up a fun dining scene using Newton Dreams of Italy stamp set. The red gingham works fabulously as a table cloth and the embossing adds a fun bit of texture. For the banners, Deb uses the Frames & Flags die set. Diane Morales creatively combines two stamp sets to create this bright, cheerful card. She uses Newton Dreams of London and Uplifting Wishes stamp set. The cloudy background and little puffy clouds are fabulous accents. The colorful banners were made using the Frames & Flags die set. Emily Lauritzen creates this beautiful card using Little Lilies stamp set. The combination of papers looks wonderfully with the black accents. Using Cloudy Sky stencil to create this fabulous background, Zsofia Molnar brings us this delightful card featuring Newton's Birthday Balloons stamp and die sets. Just love the colors she uses as well as the glossy accented balloons and sprinkling of sequins. She uses the Frames & Flags die set for her sentiment. thank you for great challenge theme and sketch!